from our farms to your table. For generations, Florida’s dairy farm families have remained true to their values and committed to producing a fresh supply of wholesome, quality milk. These hardworking men and women are caretakers of their cows, stewards of the land and leaders in their communities. Hey kids, welcome to SunnyBell's Kids Corner. 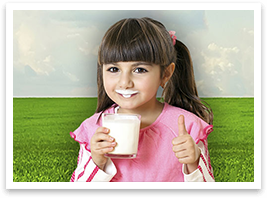 Using interactive videos and activity sheets, follow SunnyBell as she explores her Florida dairy farm while learning about the science behind dairy, different cow breeds, and all about nutritious milk and where it comes from. Fuel Up to Play 60 is an in-school nutrition and physical activity program founded by the National Dairy Council and NFL, in collaboration with USDA, that empowers students to create and implement activities that reward them for making healthy choices, and inspire change in their school. 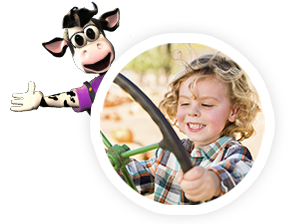 Throughout the year, Florida Dairy Farmers gives consumers the chance to win prizes, and enjoy delicious dairy products through various contests and sweepstakes. Check out our latest giveaways and enter now for your chance to take part in the fun and win. #SOBEWFF 2019 Florida Dairy Farmer Events! 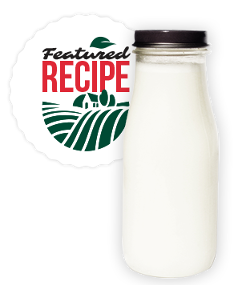 Primetime Kitchen and Florida Dairy Farmers have partnered to give listeners an inside look at dairy farming.